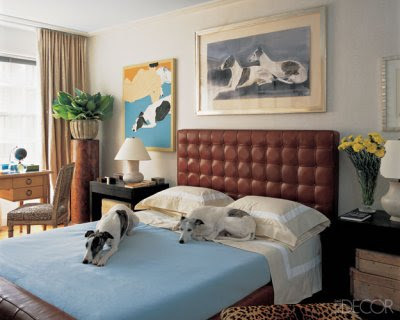 Great interior design isn't just for humans anymore - we all love our pets so why not make their sleeping and living space just as beautiful as ours! 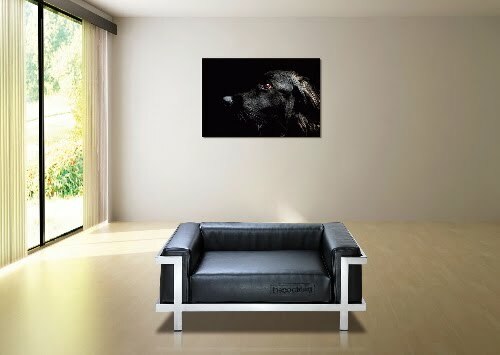 Here is some of our favorite pet furniture that will not only serve the purpose of spoiling your favorite companion, but also add to the design of your home. 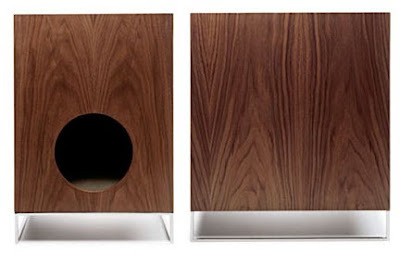 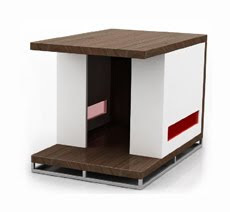 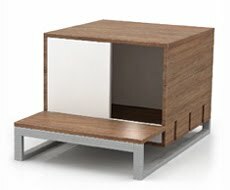 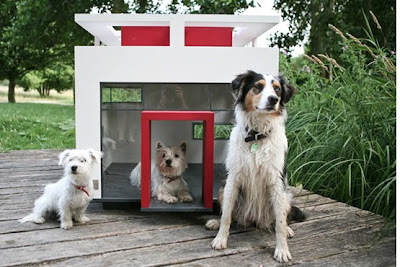 This contemporary pet house for cats and small dogs is constructed from furniture-grade walnut and offers an "urban chic" look. 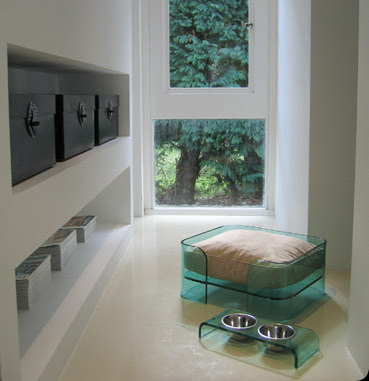 A cozy retreat for your furry friend (Eddie's Room). 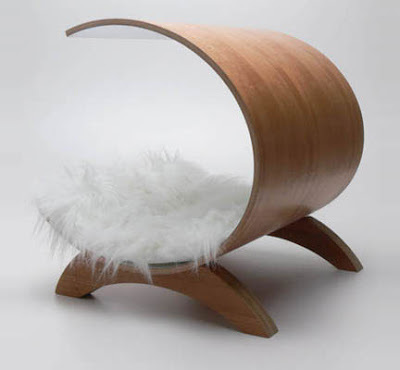 This sculptural Cat Cocoon from One Form Design is the perfect hide-out for kitties. 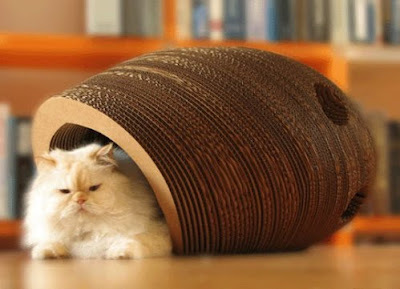 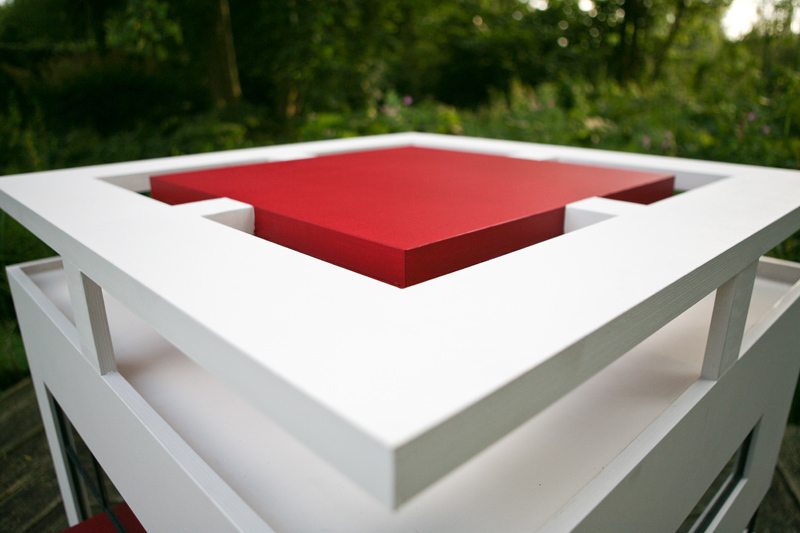 The construction is layered corrugated cardboard held together with non-toxic glue for safe scratching. 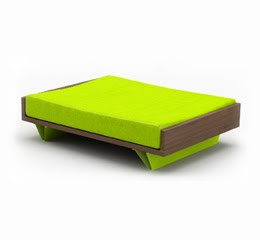 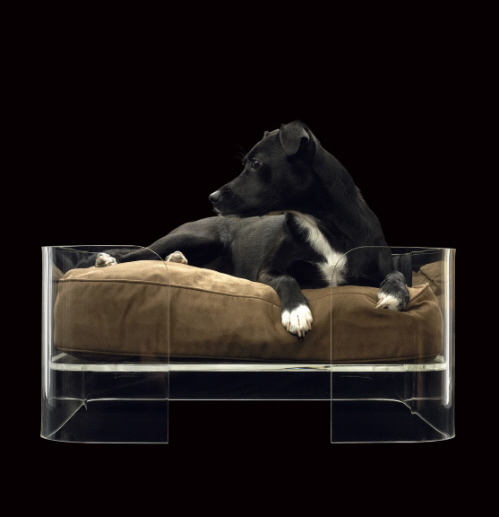 Le Corbusier inspired miniature sofa from The Cool Dog of Spain, perfect for the modern dog! 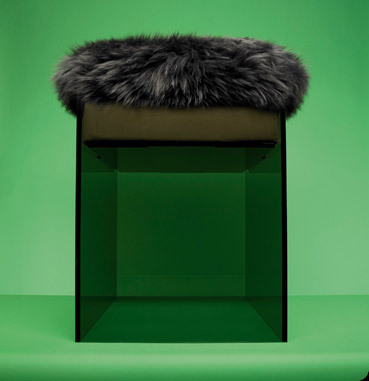 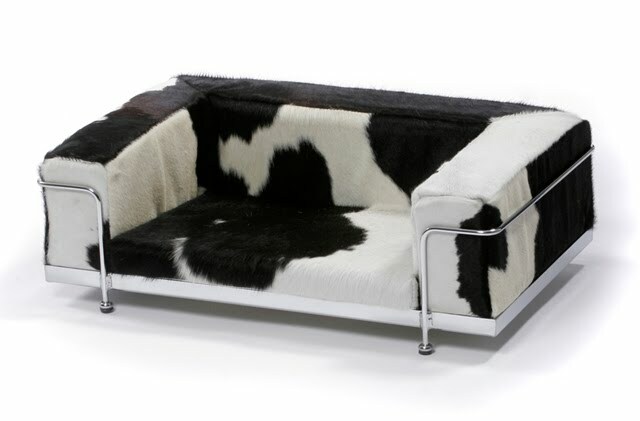 Another Le Corbusier inspired bed is the genuine cowhide Italian-made Dog Sofa (The Dog Bar). 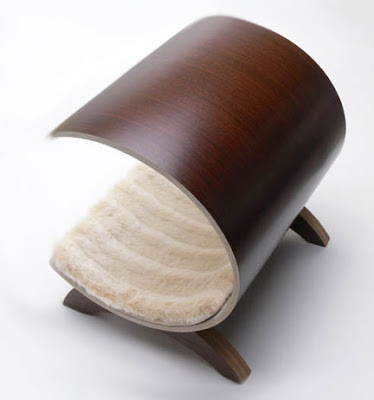 The Ellipse pet bed designed by Glenn Ross is comfortable and stylish, a beautiful contrast of dark-stained wood and crisp white faux fur. 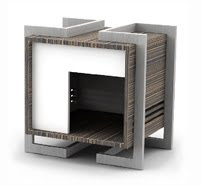 The Dog Pod designed by Glenn Ross has a beautifully curved design which provides privacy and comfort for your pet. 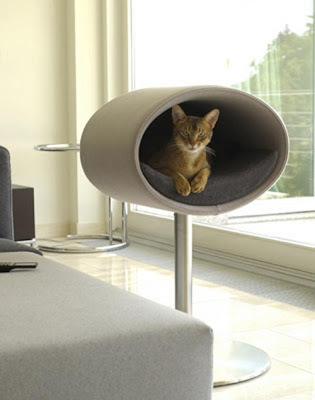 The Loulie Cat Tower (WOWBOW London). 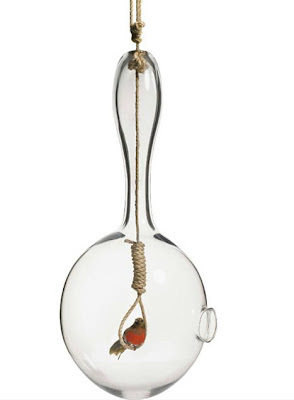 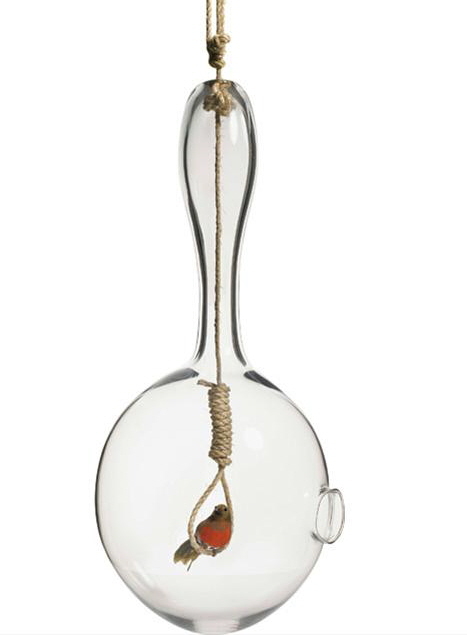 Hand-blown glass bird house by Esque Studios. 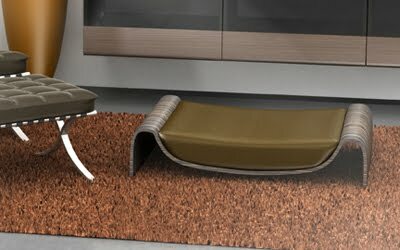 The sleek Form and Fold beds are made with dark zebra wood and microsuede fabric, ideal for the stylish pet (Urban Pet Haus). 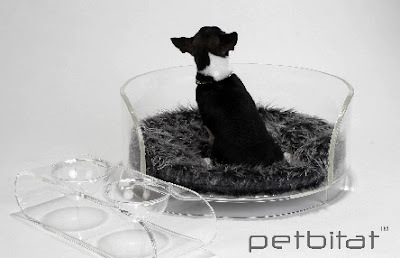 My dog thinks dog beds are toys. 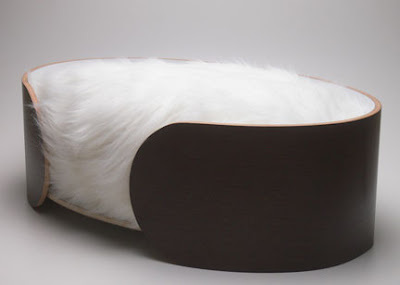 She chews them up like crazy. But I don't mind. 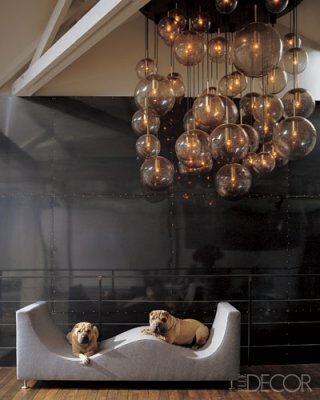 I get to change them up all the time.